Daddy Бэтмен. So cute. HD Wallpaper and background images in the Юная Лига Справедливости club. I could`nt help but laugh and aww when i saw robin. I luv how robins just like without his mask smiling! 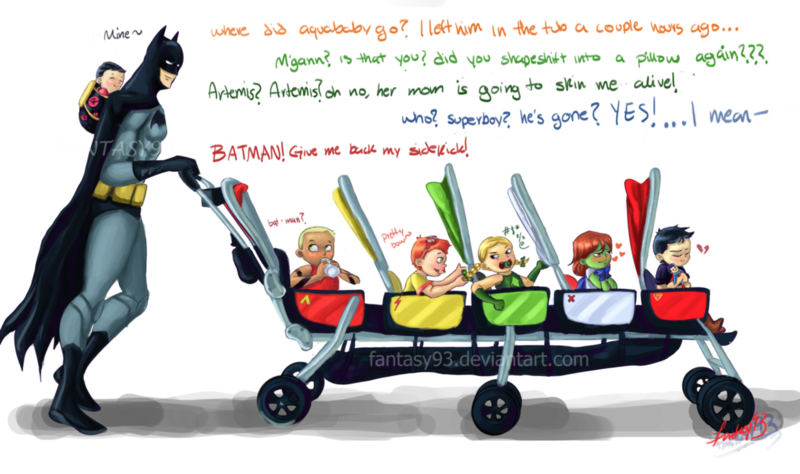 I love how Robin is the only child touching Batman! He looks soooo cute and Batman almost looks...fatherly!! 1. 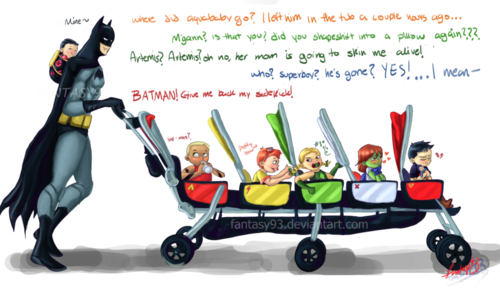 Batman does look fatherly. AW I LOVE IT! batman looks fatherly i agree, and poor superboy! Superboy has a broken heart and is hugging a superman doll, cute. "who? Superboy? He's gone? yes!....I mean" That was funny. Haha. "Pretty bow" Robin is soooo cute and I can imagine Robins little cute voice saying "Mine!"